A promise we give to our customers. A competitive advantage we provide to their packaging. Exposing what’s hidden from view. Revealing the path of vertical packaging technology’s future. HSV280B - One machine for everything! 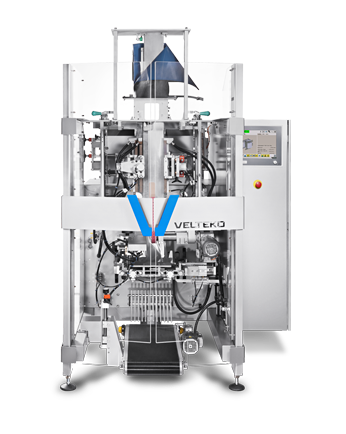 The new series of sophisticated HSV280B vertical packaging machines, equipped with the latest technology from VELTEKO, can handle everything! The robust construction and precision manufacturing in the Czech Republic, along with the use of quality materials and branded components, guarantee high reliability and a long service life. VELTEKO’s "Streamline ultrasonic technology" is a completely new solution for the ultrasonic sealing of the longitudinal edges of standup pouches and bags with sealed edges that are formed on VELTEKO HSV280B and HSV360A vertical packaging machines. It's the ideal solution for packaging large pieced and fragile products. STREAMLINE ultrasonic technology is designed so a single device can be used with multiple filling tubes of different shapes. It can also be subsequently applied to older VELTEKO packaging machines, thus significantly increasing their value. STREAMLINE is a space-saving technology. It does not increase the footprint, or total height, of the packaging machine compared to competing single-purpose machines that create pillow bags. Thanks to the optimal drop height of VELTEKO packaging machines equipped with ultrasonic technology, they are also suitable for the gentle packaging of fragile products. 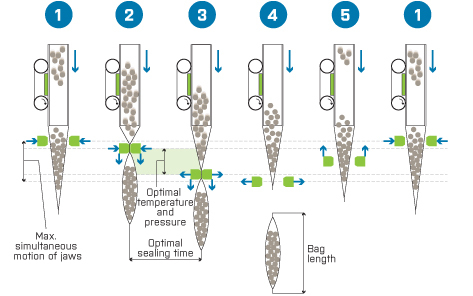 Relatively flat bags can also be created using circular or oval filling tubes, which significantly reduce the risk of products getting trapped in the hopper or filling tube. STREAMLINE contributes to VELTEKO machines achieving high speed with high-quality seals, while requiring less energy than traditional solutions. When creating longitudinal edges with "Streamline ultrasonic technology", VELTEKO machines can even operate in continuous mode while applying modifications to the bags such as Cut out Zip, Ultra Zip, Euroslot and Carry handle. 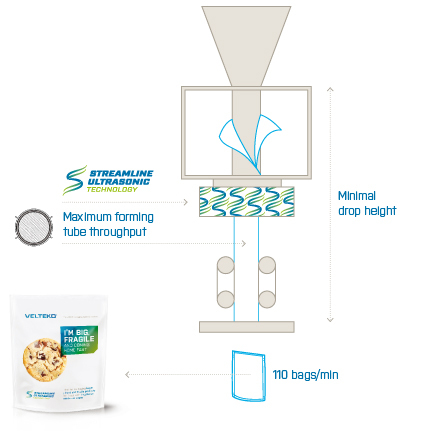 Thanks to VELTEKO’s unique new Powerseal technology, the HSV210-SLIM series of vertical packaging machines have an unfair advantage for packaging snacks and small-pieced products into high-quality pillow bags! 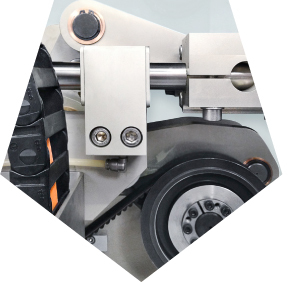 The Powerseal mechanism enables the cross jaws to achieve the high sealing force needed to achieve optimal seals, tight seals and beautiful bags for a wide range of films. This sophisticated technology, and the parallel VELTEKO motion-controlled jaws, are the two most important conditions for creating high-quality seals at high speed. The special Powerseal mechanism drives the cross sealing jaws, which exert the necessary force to achieve perfect seals with a wide range of films. Sophisticated motion control of the simultaneous cross sealing jaws allows for maximum sealing time at high speed. for even thinner standup pouch zipper ends! even thinner standup pouch zipper ends! 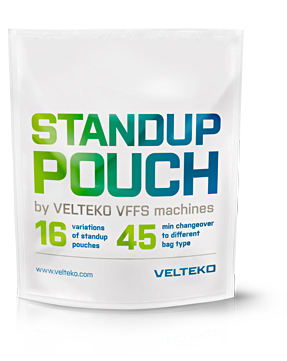 Take advantage of VELTEKO’s innovative vertical packaging machine solutions for packaging your products in standup pouches. A bonus of the new standup pouch technology is not only the refined look of the bags, but also their practical qualities. Application of a zipper as a secondary closing system allows for easy re-closing of the bag after opening. VELTEKO‘s exclusive zipper sealing and crushing technology provides the most attractive, blemish-free zipper seals and crushed zipper ends on the world market today! Sophisticated design solutions based on ultrasonic and mechanical preparation of zippers before their application allow (even in continuous mode) for the preservation of HIGH QUALITY seals, including the crossing point of the zipper and side seals. The purchase of any packaging machine is an important decision. It not only needs to meet your current requirements, but also the future, unforseen requirements of an unpredictable market. 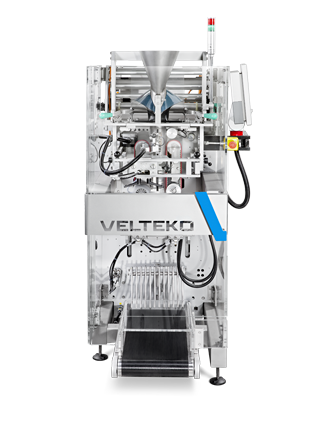 That’s why versatility has been engineered into every VELTEKO vertical packaging machine. 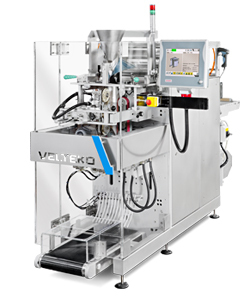 Velteko machines adapt to your individual needs thanks to their ability to package a wide range of products into an unbelievably large variety of bags.